Memorial Day is often thought of as the time that it makes sense to start looking at the MLB standings. More than a quarter of the schedule has been played, and we think we’re getting a handle on which teams are good, which teams could be “good enough,” and which teams need to wait until next year. 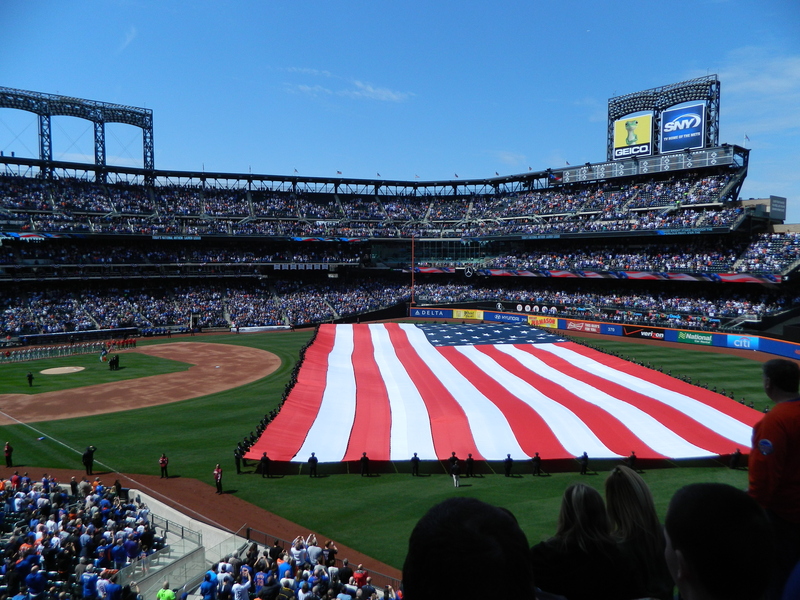 This Memorial Day certainly went better for the New York Mets than last year’s. No one got fired and they managed to win their game. But all the hope and optimism generated by April’s 11-game winning streak are gone. Despite today’s victory, the Mets are just four games over the .500 mark and are mathematically closer to the third-place Atlanta Braves than the first place Washington Nationals. Over the last seven days, the Mets are 2-5 and have been outscored 43-17. A lineup that had several question marks on Opening Day is now a serious cause for concern thanks to disappointing performances and injuries. Today, the Mets started Danny Muno (1-for-10) at third base and Anthony Recker (.161) at catcher in place of David Wright and Travis d’Arnaud. Wright, who appeared in just eight games for the Mets this year, is headed to Los Angeles to see Dr. Robert Watkins for further evaluation of his back. Diagnosed with spinal stenosis, Wright is almost certainly lost until near the All-Star Break and potentially much longer. Athletes with severe forms of the condition have been forced to retire because of it. Muno, Eric Campbell and Ruben Tejada are not even good medium-term infield replacements. There is no help in the minors. Prospect Matt Reynolds, who many fans want to see playing every day for the Mets, is hitting just .200 (8-for-40) over his last 10 games with the Las Vegas 51s. Before this latest setback with Wright’s injury rehab, Sandy Alderson had indicated that he was not actively pursuing trade possibilities to improve a Mets offense that ranks 26th in runs scored, 24th in home runs, 29 in total bases and 29th in OPS. The GM has since reversed course, saying that the Mets will look outside the organization for help. But at this stage, Oakland is the only team that trails the wildcard race by a double-digit margin – the trade market is just beginning to develop. Alderson needs to be aggressive as the trade market matures – he’s either got to turn his pitching surplus into offense, or turn his impending free agents into something. And when I suggest trading pitchers, I mean Noah Syndergaard, Steven Matz or maybe even Matt Harvey – Dillon Gee and Jonathon Niese are not bringing back the players the Mets would need to turn things around. I love watching good pitching… but I’m tired of a Mets’ offense that struggles to score one or two runs nearly every night. Better a rotation with Jacob deGrom, Bartolo Colon, Niese, Gee and Matz but no Harvey or Syndergaard (for example) than one of the worst lineups in baseball. But if Alderson isn’t prepared to commit to the 2015 Mets – and I can understand the reservations – then he needs to trade Colon and Daniel Murphy for whatever he can get at this year’s deadline. Three more months of watching them play during a season you’ve already given up on is not worth even a marginal prospect that you might be able to get from another team. I expect to get out to Citi Field for my second live baseball game of the year this week… I hope I will see another Mets victory. And I really hope that this is the year we get to watch something exciting happen at the Mets’ new home… but right now, I don’t think the talent is there.